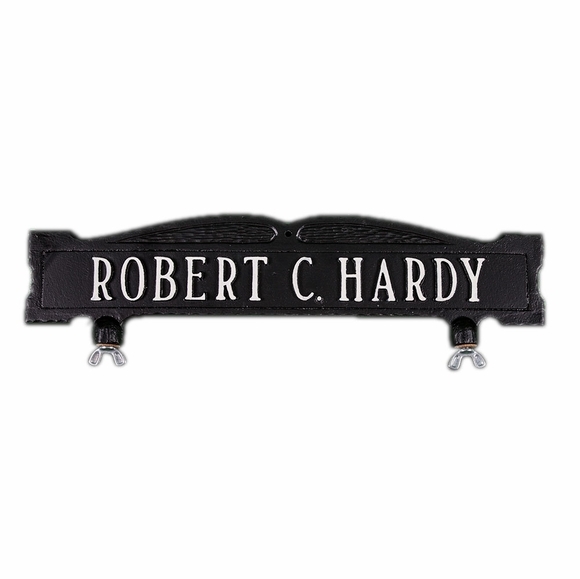 Personalized 1 Line Mailbox Sign - - attaches to the top of your existing mailbox with the included hardware. Holds up to 17 characters including spaces. Very impressed with the quality of this mailbox sign. Nice heavy casting that should last for many years. Numbers are perfectly shaped and very readable.